They’re like buses, eh? New bikes… You turn your back for a minute and a load have turned up without you noticing – and now you have to work out which one is going to be the one to take you to your destination. 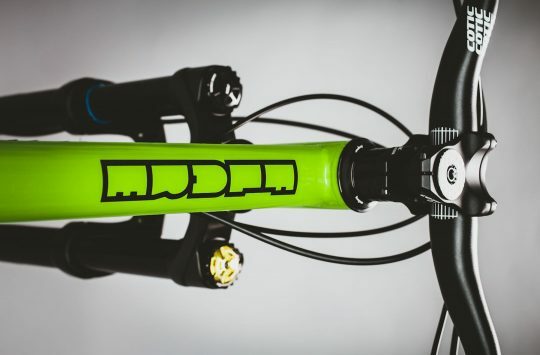 Well, it looks like this new Cotic is going to be vying for a good few riders’ attentions. 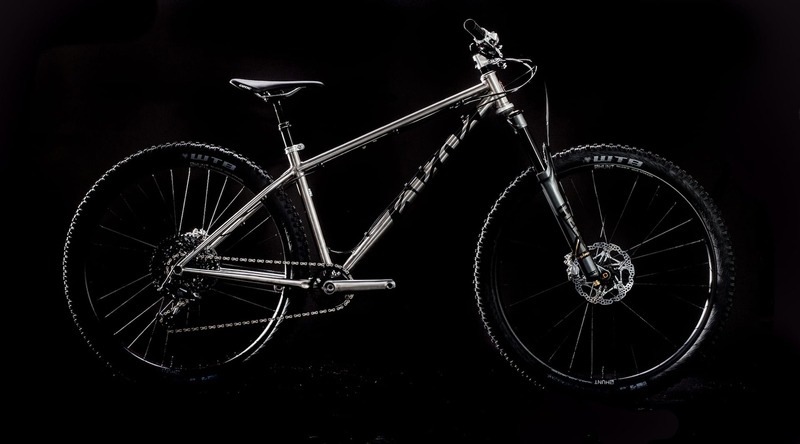 Contemporary geometry, titanium, hardtail. What’s not to like, eh? Room for big 29er treads or meaty 27.5Plussers. And limited to 20 bikes for the UK, with ten in brushed and ten in shiny to choose from. 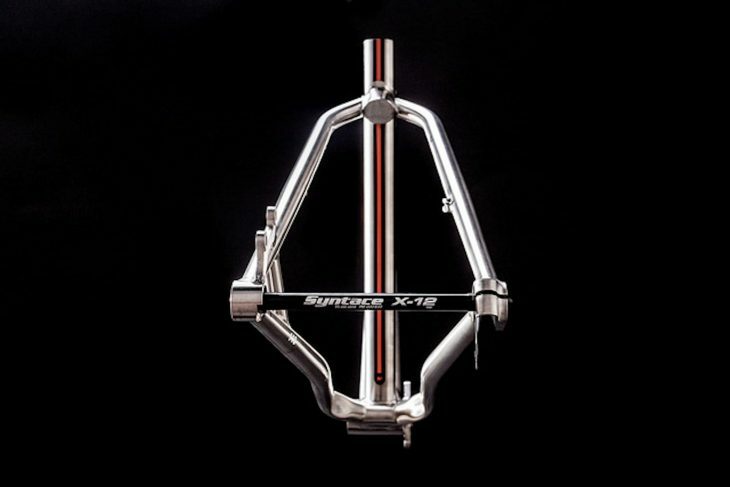 Headtube for an assortment of fork and headset options. 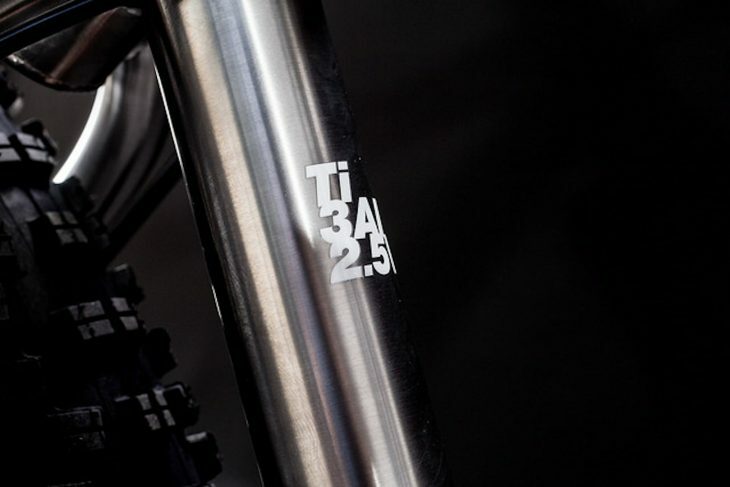 The brushed finish versions feature a racing stripe up the seat tube. The word has just gone out on the Cotic newsletter, but we have a few more photos to show you if you’re not on that hallowed list of special people. If you’re not a Cotic superfan, you might need reminding that the Soda is Cotic’s flagship hardtail, made of titanium and designed (as the Solaris is) for 29in or 27.5in+ wheels and anything up to a 130mm fork. This frame has now been brought up to date with Cotic’s Longshot geometry and all of the other Boost/thru-axle/dropper post standards that you might need. 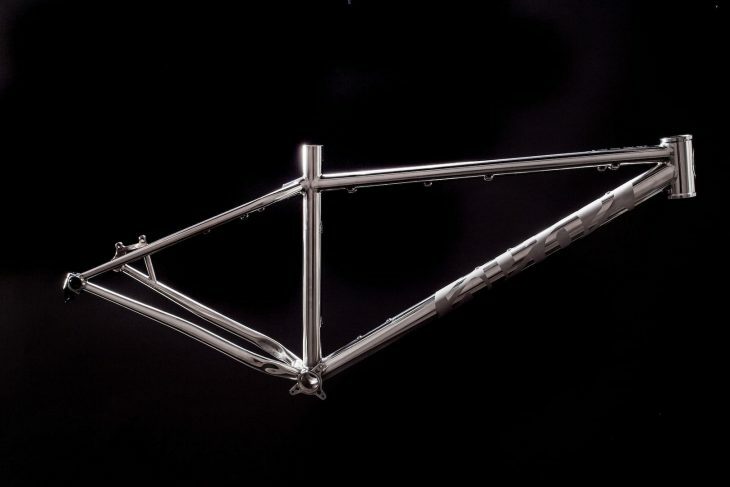 Which is good as you’re unlikely to wear out a titanium frame, so it had better be as contemporary as possible. “From 2005 to 2011 we had the Soda as the pinnacle of our hardtail range. 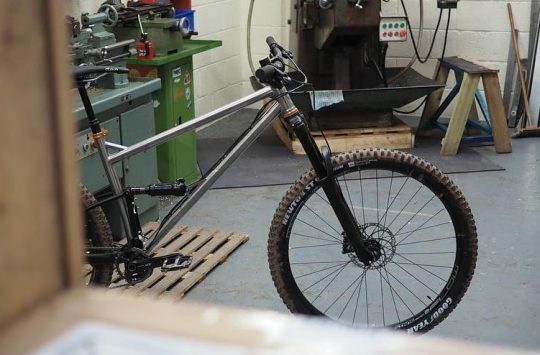 A super versatile, lightweight evolution of the original Soul, it was one of the first ti frames to be able to take up to 130mm forks and big tyres, but it’s weight and beautifully balanced handling found it a home on the race track. Our first sponsored rider Kate Potter dominated the UK long distance scene in 2005-6-7, hitting the podium in multiple endurance events and 24hr hour solo races. Then – in one of those ‘pinch me’ twists of fate I still can’t quite believe happened – Kate was spotted by Cycling Australia and ended up representing her country at the Canberra World Championships in 2009, all aboard her trusty titanium Cotic Soda. I never expected THAT to happen when I started designing bikes! 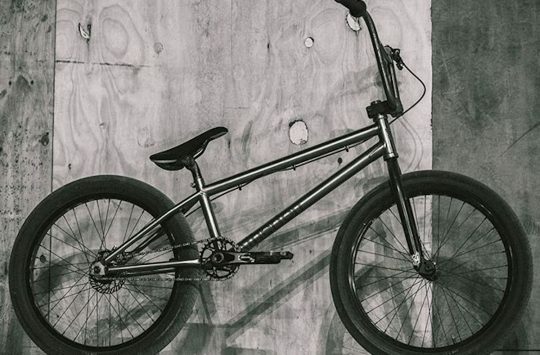 “I have been riding the prototype since last winter, and it’s actually the frame I used to prove out the Longshot edition of the SolarisMAX. It’s a spectacularly fast and fun bike to ride. 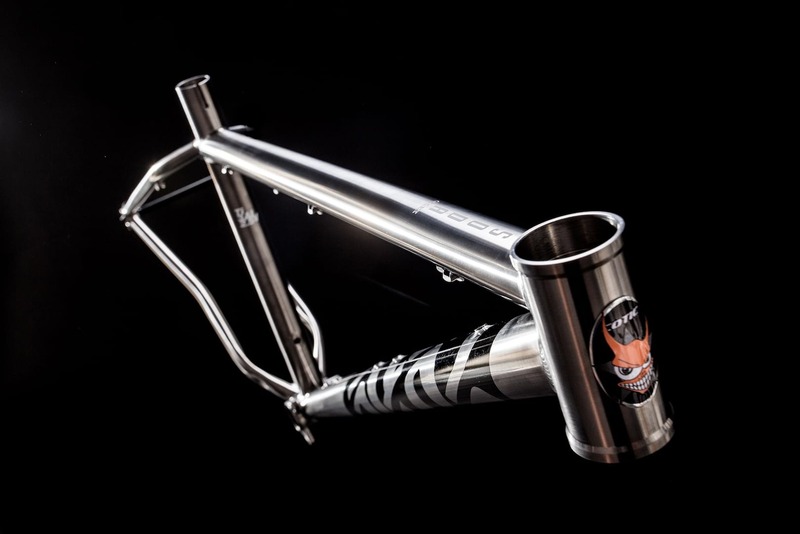 The new SodaMAX is limited to just 20 frames in 2018 – 10 brushed with pinstripe detail, 10 polished with blasted graphics. Both will come in the full range of sizes. 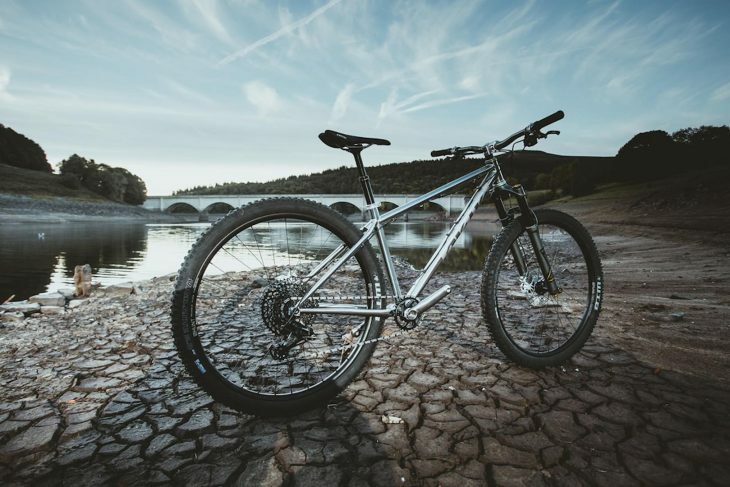 The frame price is £1799, bikes start from £3199 for the Silver build, right up to £5648 for the all singing and dancing Platinum build with matching titanium Cane Creek eeWings cranks. They are available right now. Review: Cotic FlareMAX. Is Longshot Geometry a step too far or a step in the right direction? I’m torn on this. I love that they’ve made this because I’ve always a wanted a ti version of my Solaris. And I hate Cy for making it because I definitely can’t afford it. I wonder if it’ll be as much of a cracker as the old Soda?